April 1, 1928: The Berliner Illustrirte Zeitung ran an article about a Bride Import company created to supply wives to the men of Liechtenstein. The small principality was losing women, the magazine said, because they were all going to neighboring Switzerland and Austria to find work. As a result, the gender ratio of the country was becoming seriously unbalanced — to such an extent that the government had decided to import brides to prevent depopulation. 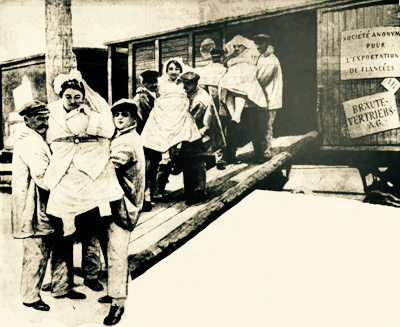 Suitable women were found in cities and towns throughout Europe and were then transported to Liechtenstein in freight cars, where they were sold in marriage markets. When news of this article reached Liechtenstein it provoked outrage. The men of Liechtenstein were particularly offended by a photo that showed the supposed brides (all of them large-sized) being carried out of a freight car. This was felt to be insulting to the beauty of the actual women of Liechtenstein. Government officials denounced the article and photo as an example of tasteless German humor. News of this "international row" was then picked up by the press and reported worldwide, which had the effect of circulating the offending photo even more widely than it originally had been. In early 1960, a TV viewer complained to a network about seeing a black man kiss a white woman on one of their shows. 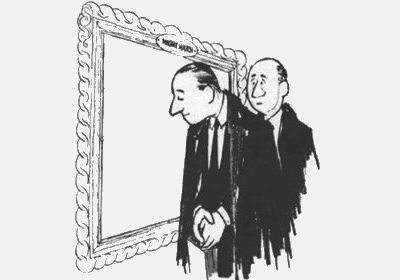 The network, eager not to offend, flew an account executive down to meet with the viewer and explain to him that the actor was actually white, but that the local station had accidentally broadcast the show at a high contrast ratio, making him appear dark-skinned. When Paul Krassner (editor of the satirical underground magazine The Realist) heard about this he was outraged that a TV network would be so afraid of offending a racist. So he designed a prank to serve as payback. He asked his readers to write to the network after the April 1st airing of the celebrity panel show Masquerade Party (a completely unexceptionable show), and to complain that they had been offended by something on it, but not to specify what it was that had offended them. Hundreds of his readers obliged. The result was panic at the network. Reportedly the TV executives watched the tape of the show repeatedly, desperately trying to figure out what could have offended so many people. The April 1972 issue of Veterinary Record, the weekly (and usually very serious) journal of the British veterinary profession, contained an article about the diseases that afflict a species it described as Brunus edwardii. The article warned that, "Pet ownership surveys have shown that 63.8 percent of households are inhabited by one or more of these animals, and there is a statistically significant relationship between their population and the number of children in a household. The public health implications of this fact are obvious, and it is imperative that more be known about their diseases." The reader response to the article was enormous. For months afterwards the correspondence section of the Veterinary Record was dominated by letters about Brunus edwardii, many of which offered new observations about the species. The article proved so popular that it was eventually published in a special edition by Whittington Press. Brunus edwardii is better known as the common "Teddy Bear." The April 1980 issue of Soldier magazine (official publication of the British Army) revealed that the fur on the bearskin helmets worn by the Irish guards while on duty at Buckingham Palace keeps growing and needs to be regularly trimmed. It explained that the helmets were originally made from the skin of Russian bears, and the thickness of this skin was such that it retained "enough of the essential hormones and animal fats to sustain hair growth — in temperate climates almost indefinitely." 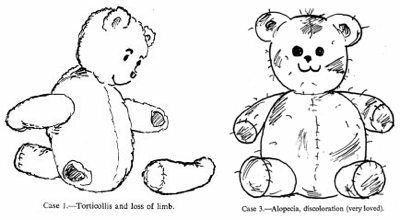 The Cold War had eliminated new supplies of Russian bear pelts, but thankfully the fur of Canadian Grizzly bears turned out to have the same self-regenerating properties. 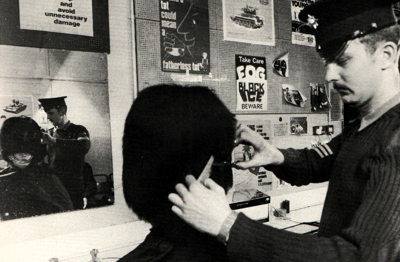 An accompanying photo showed Guardsmen sitting in an army barbershop having their helmets trimmed. The editors of the London Daily Express were so impressed by the story that they passed the information on to their own readers, apparently not realizing it was an April Fool. 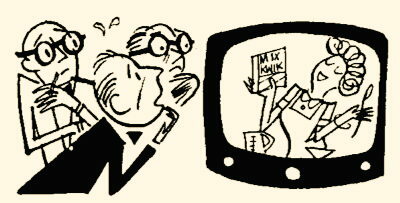 April 1, 1965: BBC TV interviewed a London University professor who had perfected a technology called "Smellovision" that allowed the transmission of smells over the airwaves. 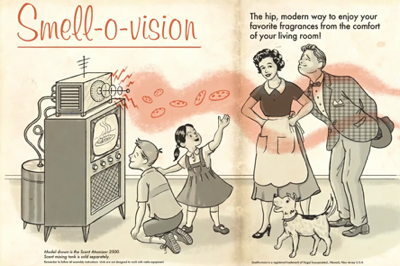 Viewers would be able to smell aromas produced in the television studio in their own homes. The professor explained that his machine broke scents down into their component molecules which were then transmitted through the screen. The professor demonstrated by placing some coffee beans and onions into the smellovision machine. He asked viewers to report whether they had smelled anything. Numerous viewers called in from across the country to confirm that they had distinctly experienced these scents. Some even claimed the onions made their eyes water. April 1, 1961: In Milan, in 1961, many people from the surrounding countryside still rode their horses into the city. So La Notte newspaper announced that city authorities, in order to make sure the horses could continue to co-exist with motor traffic, had passed a law making it mandatory for horses to be outfitted with signaling and brake lights while being ridden through the streets. 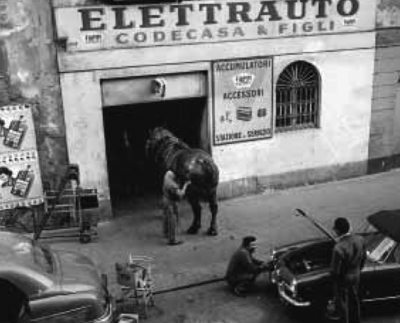 Many people subsequently brought their horses into car mechanics to have them outfitted with the necessary lights. April 1, 1950: VARA, the Dutch national radio network, broadcast an interview with an emotional employee of the Rijksmuseum who confessed that, while he had been attempting to clean and restore The Night Watch by Rembrandt, he had accidentally used the wrong fluid. As a result, the famous painting was dissolving. Paint, he said, was dripping from the canvas even as he spoke. By midnight the masterpiece would be entirely gone, merely a puddle on the floor. The confession mobilized hundreds of art-lovers who showed up at the Rijksmuseum to view the beloved painting one last time. As they queued in front of the museum, VARA radio announcers walked up and down the line interviewing them. Some waited patiently in line for hours before realizing they had been fooled. 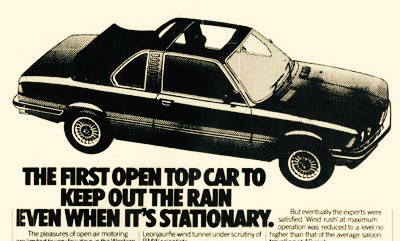 April 1, 1983: BMW's UK division ran an ad in British papers revealing that one of its engineers, Herr Blöhn, had designed a sunroof that could be kept open even in the rain, thanks to jets of air that blasted the water away from the top of the car. The system worked completely automatically, even in a car wash. Those seeking more information were directed to query "Miss April Wurst" in the BMW marketing department. The ad was the start of a long tradition of the company creating spoof ads every April 1st. In fact, BMW has been creating April Fool ads longer and more consistently than any other company that we're aware of, and the success of their ads played a large role in convincing other companies to run spoof ads on the first of April. This practice has now become so widespread that many companies say they feel compelled to create spoof ads for April 1, lest their customers think they lack a sense of humor. 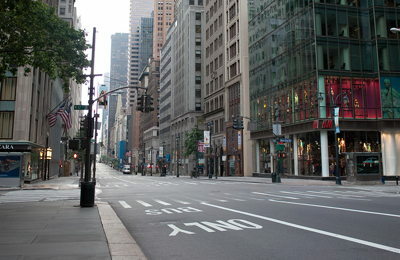 April 1, 2000: A news release informed the media that the 15th annual New York City April Fool's Day Parade would begin at noon on 59th Street and proceed down to Fifth Avenue. It would include a "Beat 'em, Bust 'em, Book 'em" float created by the New York, Los Angeles, and Seattle police departments, portraying "themes of brutality, corruption and incompetence." There would also be an "Atlanta Braves Baseball Tribute to Racism" float featuring John Rocker "spewing racial epithets at the crowd." CNN and the Fox affiliate WNYW promptly sent news crews to cover the parade. They arrived at 59th Street at noon and patiently waited for the parade to start. It never did. 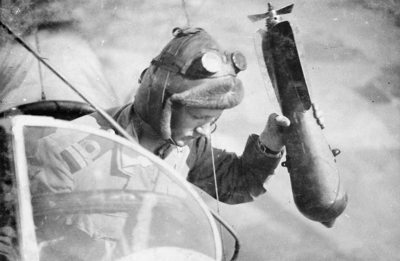 The prank was the handiwork of long-time hoaxer Joey Skaggs, who had been issuing press releases announcing the nonexistent parade every April Fool's Day since 1986 (and, as of 2015, he's still maintaining the tradition).